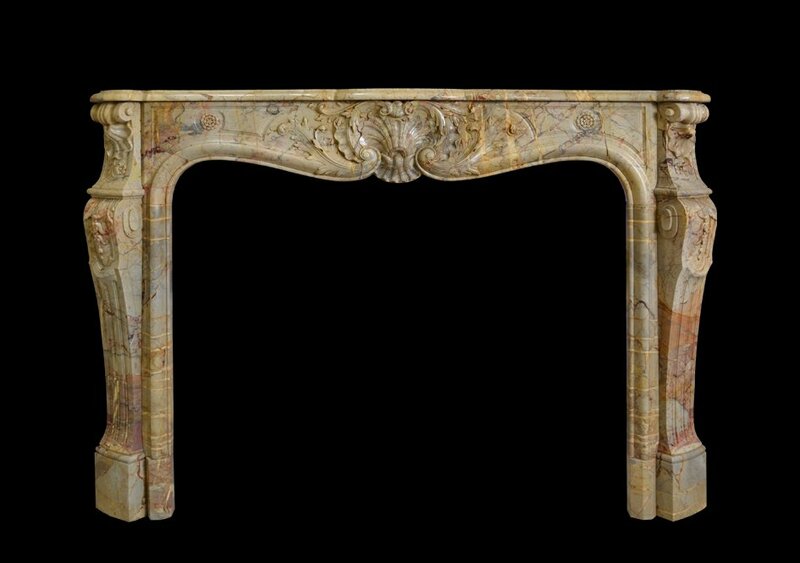 A mid 19th century French Louis XV style chimneypiece in Opera Sarrancolin marble. 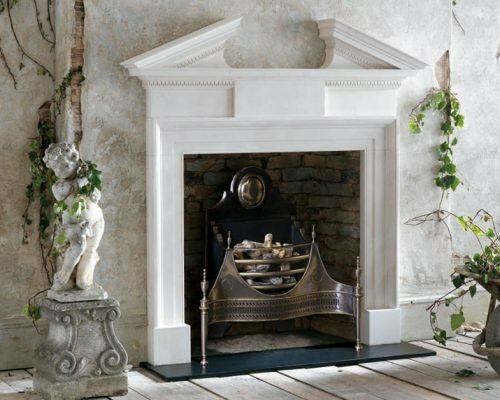 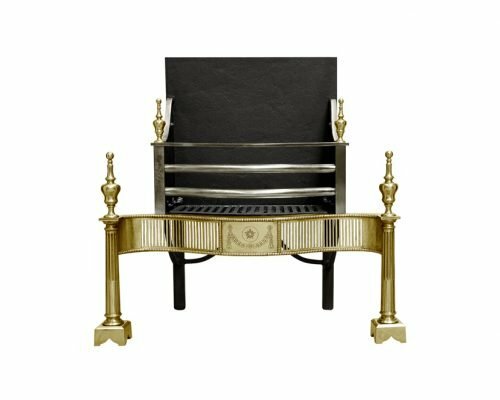 The Vanbrugh is a Palladian design that incorporates a broken pediment above a corniced shelf, both elements featuring finely worked dentil carving. 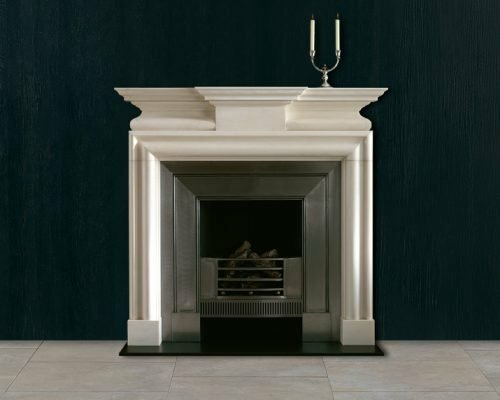 A mid 18th century chimneypiece in statuary marble with breakfront corniced shelf and incorporating a bolection moulding framing the aperture beneath a semi barrel frieze with plain projecting centre tablet.